Home › Business › ENISHI, a Muslim-friendly website for house has launched! ENISHI, a Muslim-friendly website for house has launched! We are a company that supports searching house for Muslims. 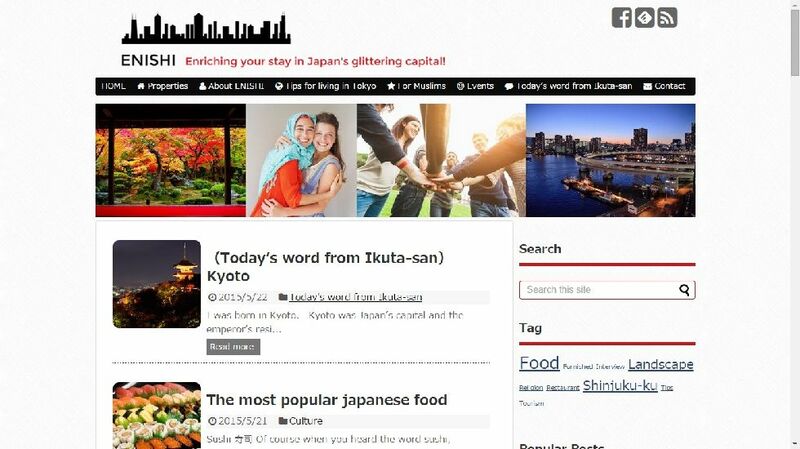 LINK: Having trouble finding a house in Tokyo? Leading LTD. will help you out! We, Leading LTD. are excited to announce that we have launched our new English website that provides Muslim-friendly information on May 7th (Thu). The name of the website is “ENISHI (縁),” a Japanese word that describes a mysterious force that binds people together and the chance of starting a new relationship. We understand that Japan has so many unwritten rules, customs and manners, which create a barrier of mutual understanding between Japanese and overseas visitors. For the purpose of helping them settle in and enjoy life in Tokyo, we provide useful information in areas such as lifestyle, culture, business manners, language and attractions: of Tokyo and of Japan in general.